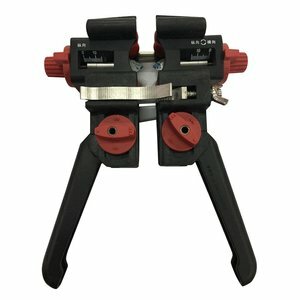 Fiber optic cable stripper which strips the cable jacket both horizontally and vertically, applicable cable diameter from 10 to 30 mm. 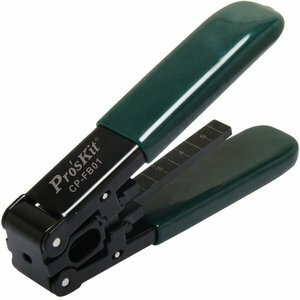 Fiber optic stripper for stripping 250 µm buffer coating from 125 µm optical fibre. 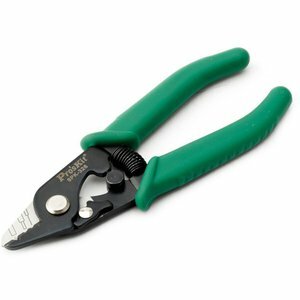 Universal stripper for 3.1x2.0 mm FTTx drop cables with steel wire. 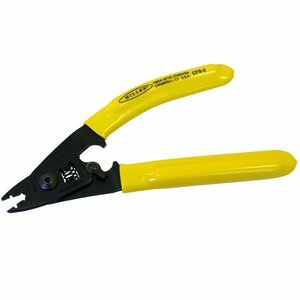 Made of zinc alloy steel with PVC non-slip handle. Strips 125 micron glass fiber with 250 micron buffer coating without scratching or nicking glass fiber. 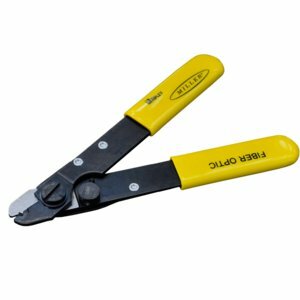 Fiber optic stripper for stripping 250 µm buffer coating from 125 µm cladded fiber, as well as for stripping 2-3 mm fiber jackets. 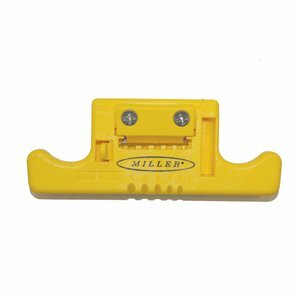 Miller MSAT-5 Mid-Span Access Tool allows easy access to optical fibers in 1.9 mm to 3.0 mm loose buffer tubes without damage.